In what is now John Barnes’ sixth season as head coach of the Youngstown State University women’s basketball team, there is a different feel with this team than previous teams. It will be the first time in over four years the Penguins will play a game without former point guard Indiya Benjamin. She is first in school history with 629 assists. The rules from the NCAA have changed to show that a team can do athletics-related activities for no more than 20 hours per week. They are allowed to practice up to four hours per day, while games count as three hours no matter the length. The Penguins bring together a smaller roster than last year’s bunch with just 13 players. They have seven returning players including seniors Sarah Cash, Melinda Trimmer and Alison Smolinski. 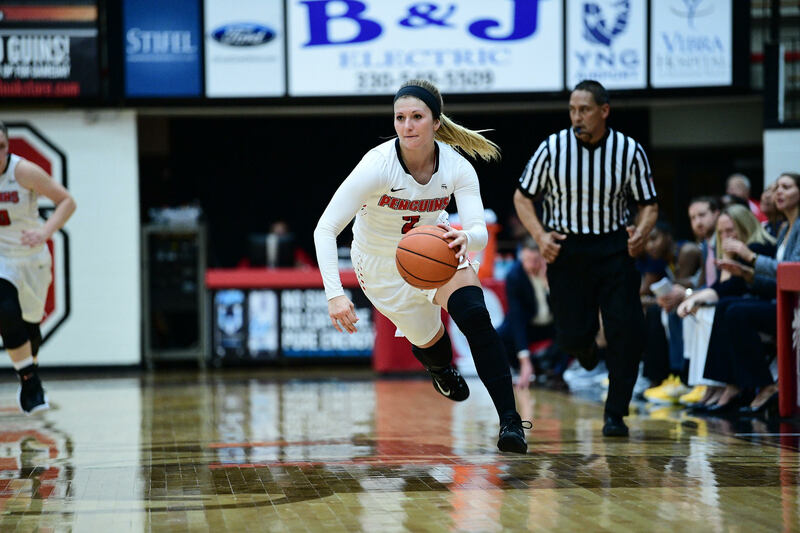 YSU welcomes four freshmen on the roster with Deleah Gibson, Taylor Petit, Gabby Lupardus and Madison Mallory. Amara Chikwe is a redshirt freshmen as well. Smolinski missed a lot of last year due to a foot injury. She started the first 11 games and played in 16 before being limited to seven minutes over the final 21 games of the season. With that injury, Chelsea Olson and McKenah Peters saw playing time that they might not have had before. Smolinski saw the light at the end of tunnel to her injury. Not just for the players but for Coach Barnes as well, not having Benjamin will be tough.